I’ve Got the Bowl… You Bring the Punch!! 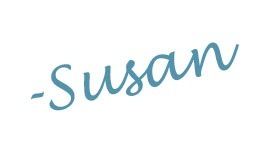 – Uniquely Yours… or Mine! I’ve Got the Bowl… You Bring the Punch!! Umm… so excited! 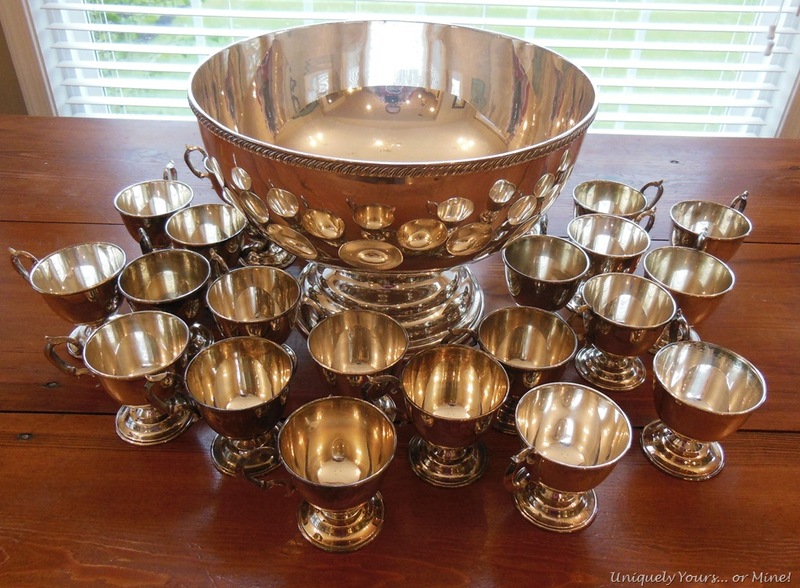 I got this silver plated punch bowl and 24 cups at auction!! They are just GORGEOUS!!! Oh yeah, just in case someone gets hungry… I picked up some trays too!!! 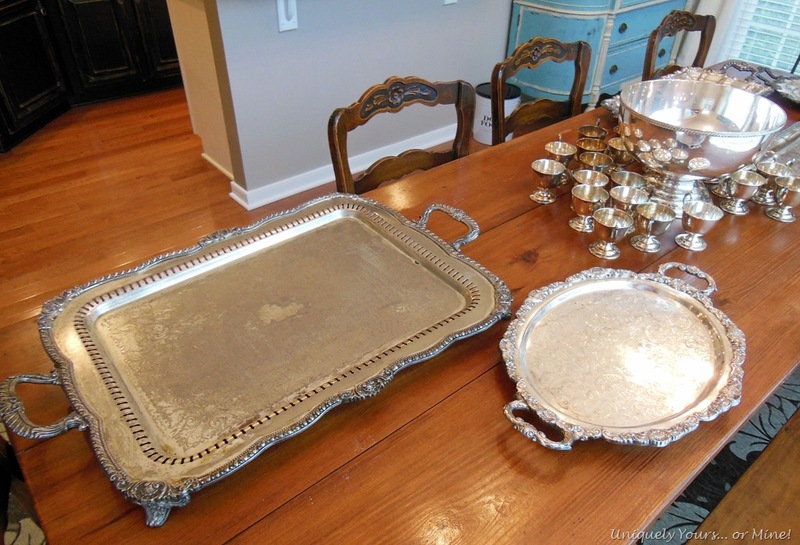 These are all very good-sized, but the large rectangular one in the picture below is big enough for a HUGE turkey… but my Hubby would have to carry it as I think the tray itself weighs 10 pounds! 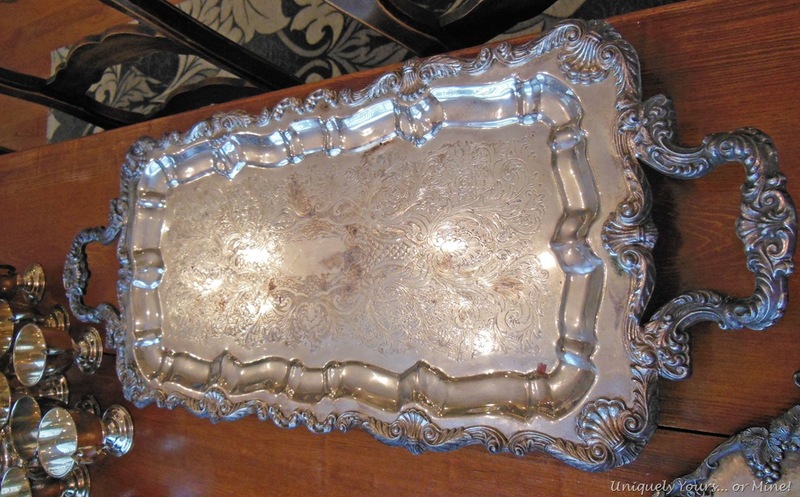 Just look at how ornate this one is! It is very long and narrow… cheese and crackers anyone? I stood on the bench to get this shot… not very safe I’m sure! 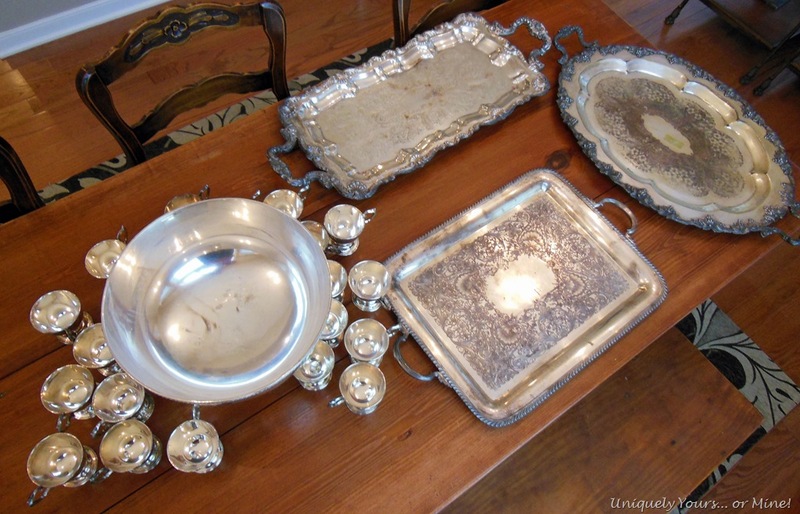 The other trays are large and pretty too… but I do have my favorites! Some of these trays will go on to find new homes (I’ll take them to my show in November), but a couple will stay with me I’m sure! The punch bowl is most definitely staying… we have been hosting the “family” Thanksgiving at our house for the past several years so it looks like punch will be on the drinks menu this year guys! I think we might have to make up some “ghoulish” punch for Halloween as well… yippee!! Wow, that is quite the silver collection! You definitely need to throw a party! Great score. That’s nice stuff! Well I’ll tell just you 😉 I paid $90 for the punch bowl and cups and $55 for ALL of the trays… Pretty good I think! 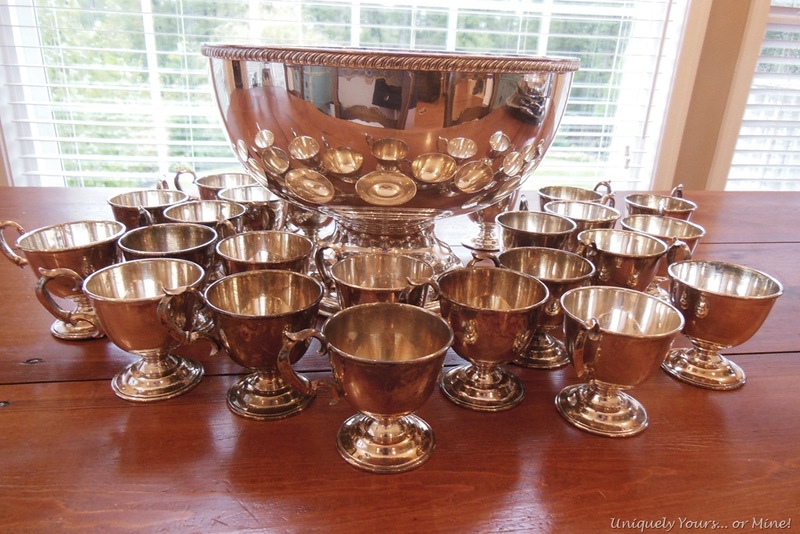 Beautiful — and it’s hard to find a punch bowl with so many cups! 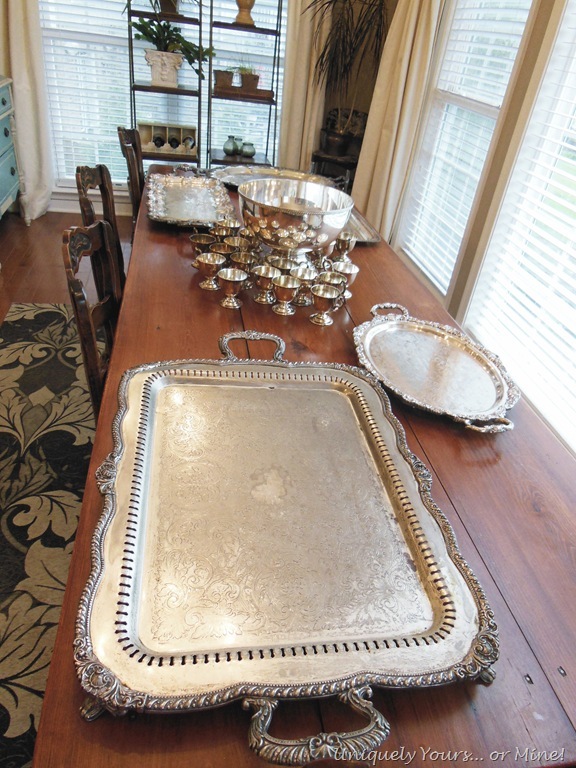 Oh my goodness, what a beautiful collection – I’m always on the hunt for pretty silver!